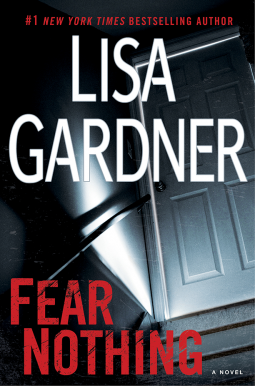 In #1 New York Times bestseller Lisa Gardner’s latest pulse-pounding thriller, Detective D. D. Warren must face a new fear as a serial killer terrorizes Boston. This is a superb thriller! This is the 7th book in the D.D .Warren series yet can easily be read as a standalone. As this is the 7th book in the series I am assuming that this quality of writing is typical of this author – and I want to read more! I want to read them all! This book is brilliant. It is not surprising this author is a #1 seller; the plot is a cracker, the history of evilness is vile, the pace is exhausting, the crimes are heinous, the dialogue is natural and conversational, the two perspectives – of Dr Adeline Glen and that of Detective D.D. Warren provide insight and give meaning to the narrative. This narrative has a wonderful range of strong female leads. It is BRILLIANT. I had to read all 416 pages last night- once you begin this book you cannot put it down until the last funeral is over. FANTASTIC! This post is a little late – I intended to write a round up of best reads for the end of the financial year, but better late than never. It has been a fantastic year of book reading and reviewing and I expect there to be many more books to add to this list as the year progresses. The books on this list vary in style, genre, attitudes and themes and what they had to offer to me a a reader but the one think they have in common is they are great reads and I highly recommend them to you. Winner of the Grand Prix de Littérature Policière: As chief medical examiner of New York City, Paul Konig has one of the world’s most difficult jobs—and when his daughter goes missing, he must take on his most wrenching case yet. New York City in the 1970s is a dark, dangerous, and threatening place. One of the bright spots in this decaying metropolis is Paul Konig. As the city’s chief medical examiner, he has developed an impressive reputation for his skills in forensic pathology—skills that will be put to the ultimate test when a dangerous psychopath kidnaps Konig’s daughter. Herbert Lieberman takes his readers on a gruesome journey through the ten most difficult days in the life of a man at the very end of his rope. In addition to being awoken to phone calls featuring his daughter’s desperate screams each night, Konig’s professional life is in danger. Between the case of a serial killer who leaves a trail of severed body parts in his wake; the investigation of questionable forensic work on an alleged prison suicide under Konig’s watch; and the naked ambitions of a deputy medical examiner, it will take every ounce of Konig’s strength to save his own life—as well as his family’s. Gruesome murders, political pressure, back stabbing and character assassination in the office, corruption in high places and the Chief Medical Examiner is on knife’s edge, (and we won’t mention that his daughter has been kidnapped and tortured, he is keeping that to himself), the tension is imploding! This is a gripping yet somewhat grey and gritty picture of life in New York in the 70’s; the decay, the despair, the crime that is relentless and ever more sinister and sickening. Lieberman’s Paul Konig serves as the template for the modern day forensic heroes that we are all so familiar with – he is professional, he is determined to find the truth for the deceased and their families and to find those responsible for committing these crimes. Konig is driven, passionate and intelligent and…rather sad. He is human and shows his frailties. Not only does the reader get a compelling murder/mystery but a portrait of a man under immense pressure overwhelmed by his situation; regretting past misdemeanours in his personal life, berating himself for choices he made, for the things he didn’t do, slipping in and out of conversations with his past, spiralling into despair and darkness. This is a dark yet compelling work of crime fiction. I thoroughly enjoyed this read. 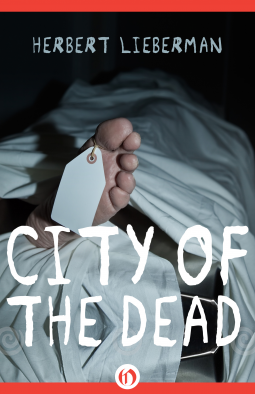 It is a brilliant forensic procedural – the detail and the technical masterfulness of the author are show cased in the minutia of the operations of the morgue, of the autopsies, of the piecing of the lives of the dead back together again is amazing. Yet this is not just a narrative defined by its plot, it is also a rich picture of so many lives; the criminals, the politicians, the victims, the police working on the cases, the pathologists and the Chief Medical Examiner and his relationship with all in this web of life and death. Brilliant! 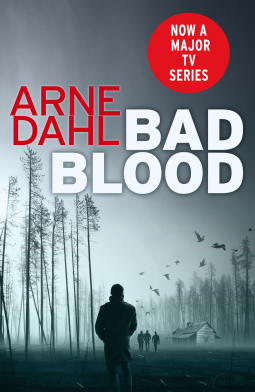 Set to be the new Scandinavian crime sensation from BBC Four: in Bad Blood, Detective Paul Hjelm and his team are called in to try and catch an American serial killer on the loose in Sweden. For years the FBI hunted the so-called ‘Kentucky Killer’, their agents haunted by the terrible injuries he inflicted on his victims through his signature device: a weapon that squeezed the vocal chords shut. Has he somehow returned from beyond the grave to torture a new generation, or do they have a copy-cat on their hands? And what do they want in Sweden? I thought that the first eighty odd pages of history and establishing of the unsympathetic characters was far too long and tedious, the story took a long time to develop and gain momentum but once it did it was riveting. Being a police procedural in style I can easily see how this story could translate successfully to the small screen (BBC4 has picked this title and series up and I believe it has already screened). I like hearing the behind the scenes banter and theorising; the blackboard of what ifs and whys and the progress the team made. The plot was complex and the crimes horrific but perhaps more grotesques were the discussion about manipulation and abuse of power that this story evokes. Manipulation – of facts, of representations, of stereotypes, of events, of abuse of power (both political and personal) are the issues that are like a scab on the knee that we cannot leave alone, that is slowly picked away at and exposed. The heart-pounding English-language debut by European crime sensation Pieter Aspe! The beautiful medieval architecture of Bruges belies the dark longings of her residents. When the wealthy and powerful Ludovic Degroof’s jewellery store is robbed, nothing is stolen, but the jewels have been dissolved in jars of aqua regia, an acid so strong that it can melt even gold. In the empty safe is a scrap of paper on which a strange square has been drawn. At first, Inspector Van In pays little attention to the paper, focusing on the bizarre nature of the burglary. But when Degroof’s children begin to receive letters with this same enigmatic square, Van In and the beautiful new District Attorney, Hannelore Martens, find themselves engaged in solving the mystery of a complex web of Latin phrases, a baroness’ fallen family, and Degroof’s unsettling relationship with a hostage grandchild, who is being ransomed for a priceless collection of art. A refreshingly good crime/ mystery novel by an author held in esteem in his own country (Brussels). I am so glad to have discovered this series and cannot wait for the others to be translated and available as ebooks. Aspe writes a story with unconventional characters, that have no need for massive amounts of special effects/high voltage drama/ or in depth forensic analysis and commentary for attention – instead he relies on well drawn characters and an elaborate narrative to hold your imagination and interest – this is so refreshing! I really enjoyed this book- it presented me with a landscape that was unfamiliar yet beautiful and interesting. It was not bleak or boring or predicable. Intelligent and at times humorous, Inspector Van In is an anti hero by European standards – he is not dashingly/ruggedly good looking or attractive – he is ordinary, with a history of a failed marriage, a house and crippling mortgage and common sense. He works in the real world – a world of politics and manipulations, of bureaucracy and subvertise office behaviour. Aspe understands that “a professionally spread rumour usually does more damage than a court case.” (p.120) I see so many connections to the way politics operates in Australia and to the recent change of Prime Minister…rumours, unsupportive behaviour… the niggling back biting that cannot be challenged because it is not spoken openly… This story is so relevant to contemporary mores and politics – personal and public spheres. I liked how Aspe acknowledges the existence and relevance of such behaviour in this novel. All in all a refreshingly good narrative – emphasis on the narrative. I look forward to reading more of the Inspector Van In series. 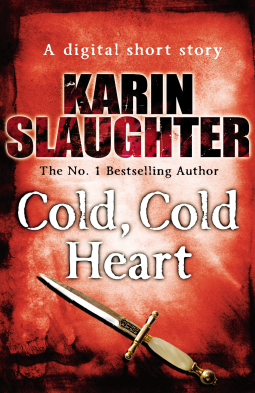 This was a very short short story – a story that highlights the feminist ideals that permeate Karin Slaughter’s writing. This is a relatively light story from this accomplished author of dark crime. I love the playfulness of the title – the full ironic meaning revealed as the story progresses. Revenge is best served- cold!